I am sure you remember my post of I want my toddler to be happy. Being mommy of two boys, I want the best for my boys! My youngest boy, he's very active and playful all the time. I want to do things fast and change him fast, I love Huggies Dry Pants: Change for Better Convenience because I can put him on them in less than 30 seconds if he wants to go out fast. It's easy to use Huggies Dry Pants, I love the easy way to remove it just tear (koyak) side of it when I need to change (salin) him and go (Lepas). After changing to this brand Huggies Dry Pants, I believe this change for better convenience not just for busy mom. Huggies Dry Pants is an easy-to-use option for active infants and toddlers! My active toddler just tried it and I see how easy changing can be when all I need to do is just pull them up, tear (koyak) and go(Lepas)! All pictures taken by me, he's using the Huggies Dry Pants. Do you know that Huggies Dry Pants with its soft stretch sides to provide better comfort and help prevent red marks even when your baby is on the move and a quick lock system to help stop leaks, Huggies is Malaysia’s first brand of disposable diapers which is clinically proven to help prevent diaper rash! My toddler sleeps in baby sarung twice a day, the Huggies Dry Pants didn't leak that makes me happy because he can sleeps longer. I am happy he's always waking up with happy smile. He's comfortable wearing the Huggies Dry Pants, just look at him. It gives him no problems moving around and stays active indoor or outdoor, he loves Huggies. Mommy and son are happy! We love Huggies Dry Pants, they are easy to wear and tear (Koyak), change (Salin) & go (Lepas)! We choose Huggies Dry Pants: Tukar untuk lebih senang dipakai! Huggies® is one of Malaysia’s leading baby & child care brands. It provides moms and babies with a complete range of disposable diaper and diaper pants to helps keep skin healthy and babies happy. 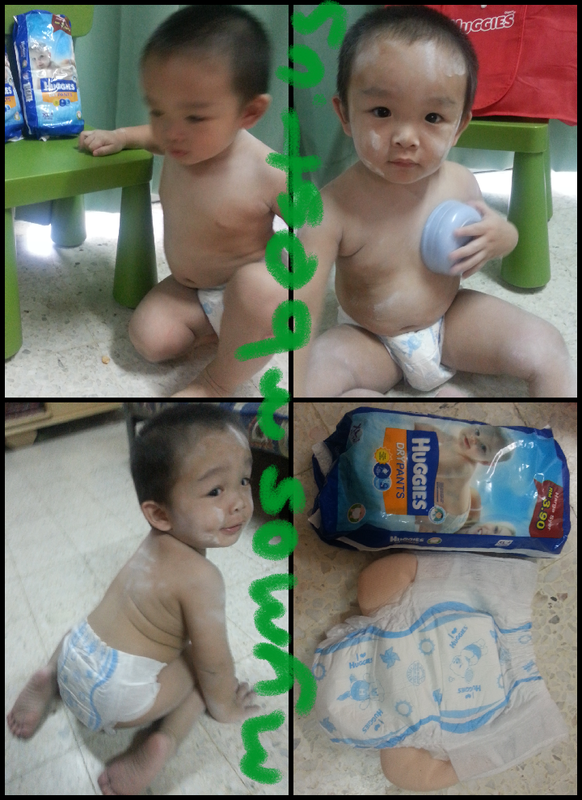 For more information, visit www.huggies.com.my or www.facebook.com/Huggies.Malaysia.